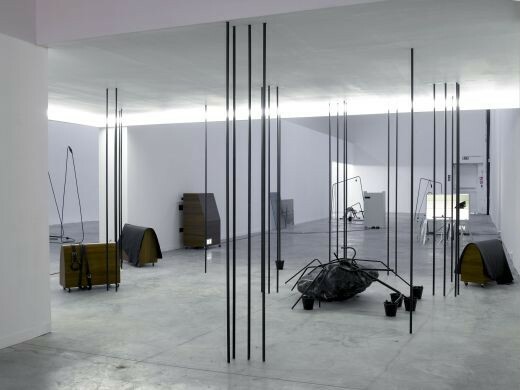 Highly designed interior spaces are a recurring image in the work of Italian-born Paris-based Artist, Tatiana Trouvé. 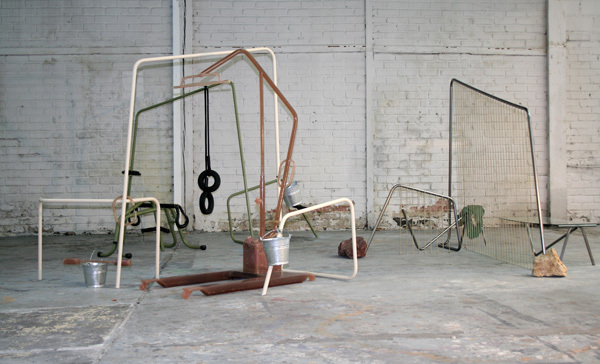 Her ongoing series of Polders - half-sized renditions of spaces and abstract objects - began as works made from left-over parts of her larger-scaled installations and sculptures. In Dutch the term 'polder' refers to an area of formerly water-locked land rendered accessible through human intervention. 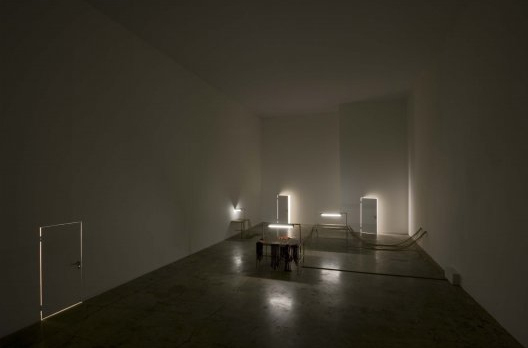 The spaces are populated by abstracted forms that seem to allude to familiar objects found in domestic, industrial and corporate environments through the artist's highly polished execution and choices of materials (glass, copper tubing, fluorescent lighting, rocks, leather coverings, plastics). The shifts in scale and suggested and yet incomprehensible sense of utility that the woks have makes for a disconcerting experience that is suggestive of psychological disturbance or instability.